The day the deal was signed, using what The Washington Post calls "stark apocalyptic language," Bibi accused John Kerry of giving the mullahs a "sure path to a nuclear weapon" and a "cash bonanza of hundreds of billions of dollars ... to pursue its aggression and terror." Then Israel, the Israeli lobby AIPAC, and all its allies and auxiliaries in the think tanks and on op-ed pages will conduct a full-court press to have Congress override the Obama veto and kill his nuclear deal. Has Bibi, have the Israelis, considered what would happen should they succeed? Certainly, there would be rejoicing in Jerusalem and Tel Aviv, and Bibi would be crowned King of Capitol Hill. But they will have humiliated an American president by crushing him by two-to-one in his own legislature. Such a defeat could break the Obama presidency and force the resignation of John Kerry, who would have become a laughing stock in international forums. The message would go out to the world. 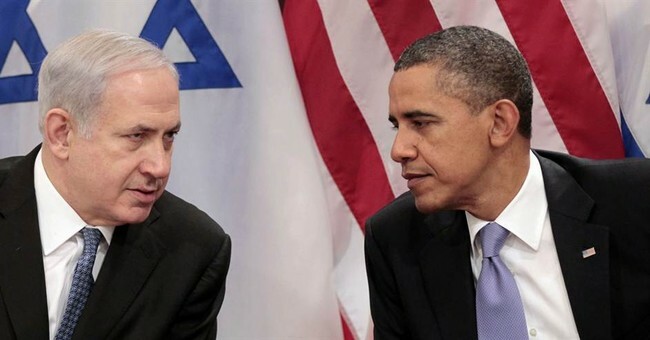 In any clash between the United States and Israel over U.S. policy in the Middle East, bet on Bibi. Bet on Israel. America is Israel's poodle now. With the Gulf nations having joined Britain, France, Germany, China and Russia in backing the deal, Israel is isolated in its opposition. And, two weeks ago, Kerry warned that if Congress rejects the deal, "Israel could end up being more isolated and more blamed." Yet, Israel's ex-ambassador to the U.S. Michael Oren fairly dripped condescension and contempt in his retort: "The threat of the secretary of state who, in the past, warned that Israel was in danger of being an apartheid state, cannot deter us from fulfilling our national duty to oppose this dangerous deal."